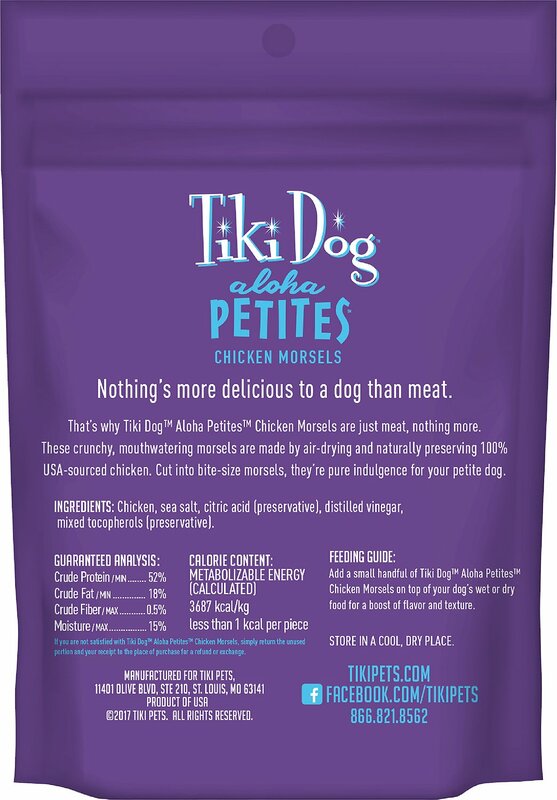 Treat your pal to the tender and delicious Tiki Dog Aloha Petites Air-Dried Chicken Morsels Grain-Free Dog Treats. 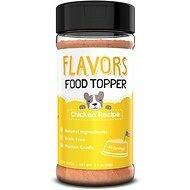 Featuring 100% USA-sourced chicken as the first ingredient, these protein-packed treats are easily digestible and helps support your pal’s muscle and organ development. These bite-sized morsels, perfect for small mouths, are diced into cubes. air-dried and naturally preserved. The grain-free treats are great for adding to dry or wet food for a boost of taste and texture. Bursting with flavor from real, high-quality chicken, these tasty morsels are the perfect treat to complement your pal’s meal. 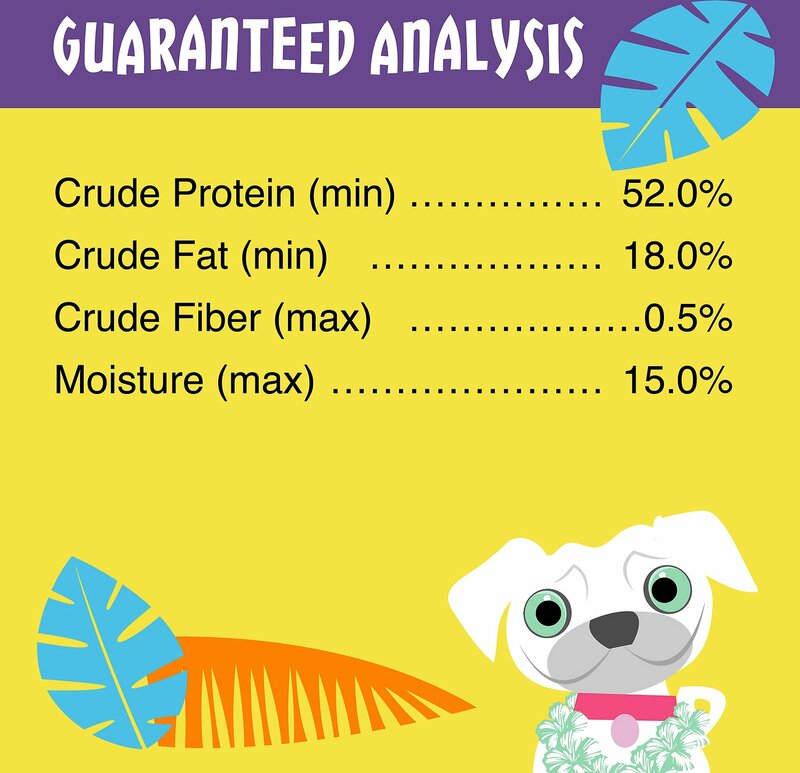 100% USA-sourced chicken air-dried and naturally preserved for real flavor that’s great to complement your furry best friend’s meal. Bite-size morsels diced into small cubes so they’re the perfect size for your pal’s small mouths. Great for sensitive tummies since they’re easily digestible and help support your pal’s muscle and organ development. Designed with the highest standards in nutrition, which you can see it in every bowl, to keep pal in optimal health. Easy to serve—simply add to dry or wet food for a boost of taste and texture. 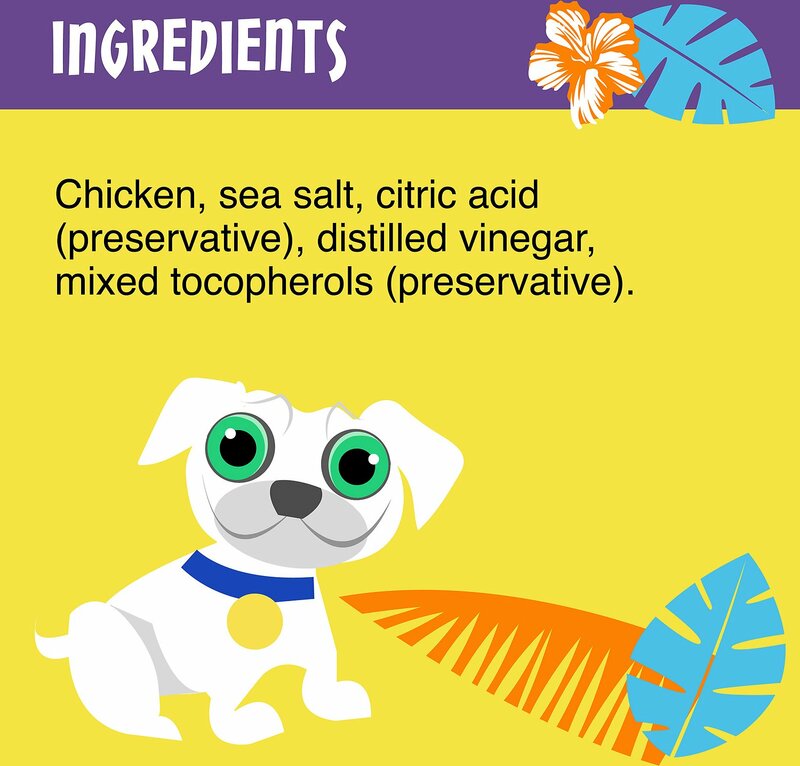 Chicken, Sea Salt, Citric Acid (Preservative), Distilled Vinegar, Mixed Tocopherols (Preservative). 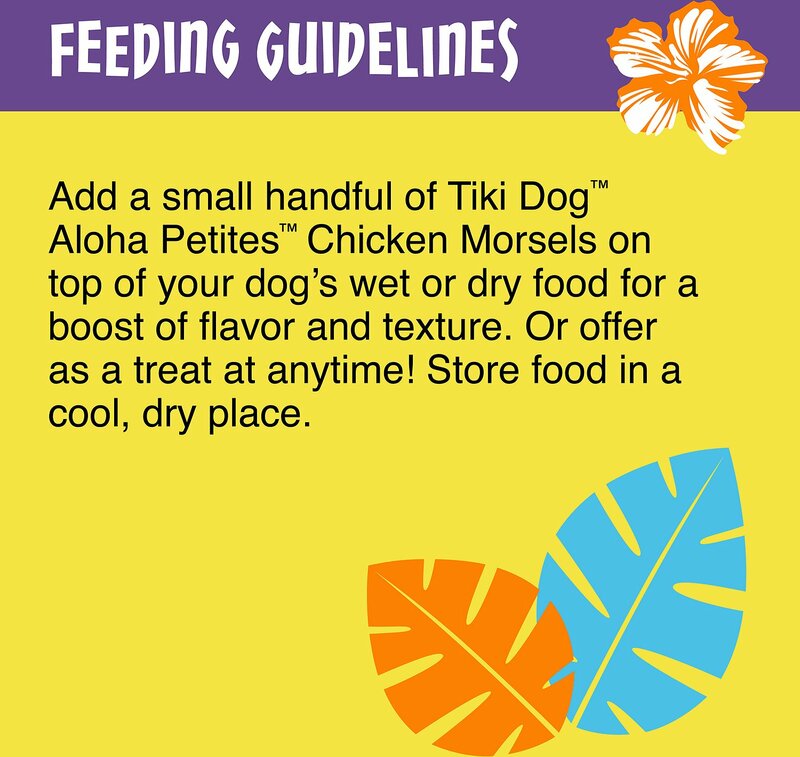 Add a small handful of Tiki Dog Aloha Petites Chicken Morseles on top of your dog's wet or dry food for a boost of flavor and texture. Or offer as a treat at any time! Store food in a cool, dry place. Small dogs come in all shapes and personalities with some being fussy eaters, while others may lick their bowl clean. Many have long, beautiful coats or round, waddling bodies, while others are thin and wiry in every way. 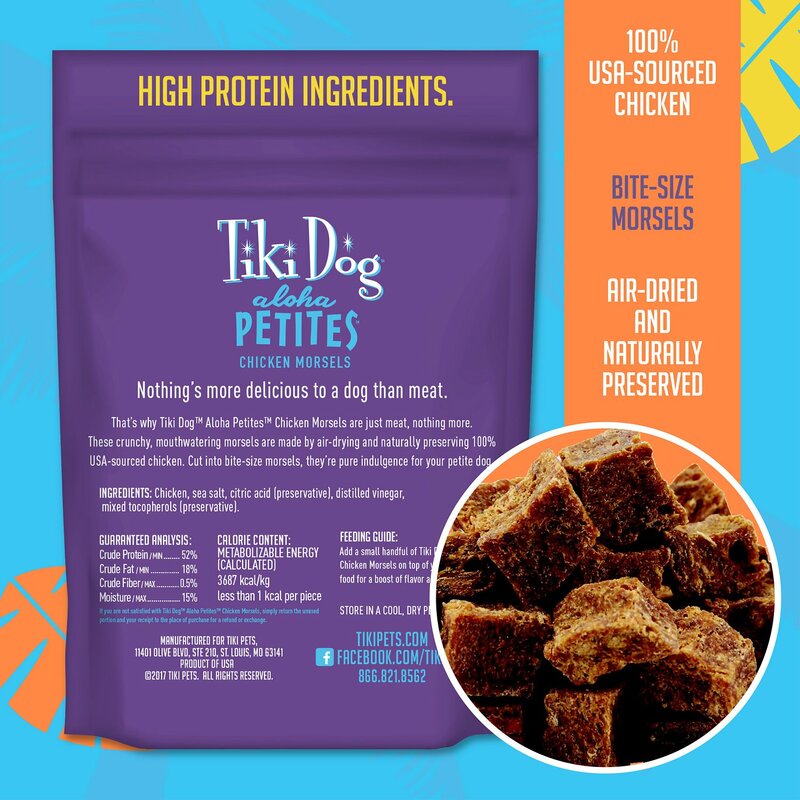 That's why Tiki Dog created Tiki Dog Aloha Petites™—to deliver a high-quality line of food as diverse as petite dogs are, formed in bites made especially for their small teeth and jaws. When it comes to flavor, look no further! Tiki Dog Aloha Petites includes tasty wet foods that feature shredded meats and flaked fish, all in different combinations and textures. Coconut and kale pack in vitamins and antioxidants, while high-quality proteins like USA-sourced chicken nourish lean muscles. Without potatoes, corn or wheat, you've got a ready-to-serve meal that’s big on nutrition and flavor. 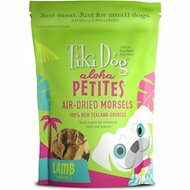 Perfect for little mouths, Tiki Dog Aloha Petites dry food is made with small pieces so the kibble is easy to eat, and baked—not extruded—to maintain all the flavor and nutrients. 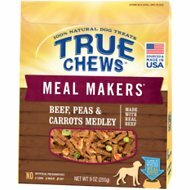 Each crunchy, savory meal offers complete and balanced nutrition in bite-size pieces perfectly proportioned for little jaws. With so many assorted flavors and a range of textures, even the pickiest of small dogs will discover a favorite. Pick between wet or dry food—or mix and match—and choose a delicious topper. It's that easy to make the meal of your pal's dreams. There's something for everyone, and enough variety to make mealtime a surprise in every bowl. My 5lb 13oz dog likes the flavor and meniscal sizing of these treats. Quickest shipping in the business. 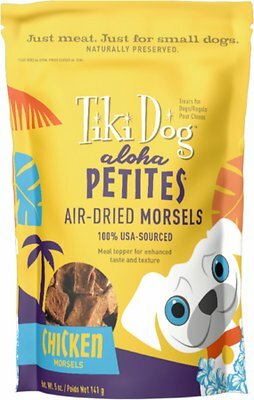 I have a pekingese/shihtzu mix who is a very picky eater, but she loved these from day one! She has a small mouth so these petite treats are just the right size for her. I’m so glad I found these.